Jill is a Registered Nurse with a Bachelors of Art Degree. She worked as a surgical nurse for nearly 20 years before finding her true passion as a Nurse Injector. This combination gives her the unique opportunity to incorporate both art and medicine. In her free time she is a bronze and stone sculptor. Jill brings with her over 10 years of experience obtaining natural-looking results for a youthful appearance by injecting Botox & Dysport and adding volume with fillers such as Bellafill, Radiesse, Juvederm, Voluma, Restylane and Belotero. She is one of the top Nurse Injectors in the Twin Cities. 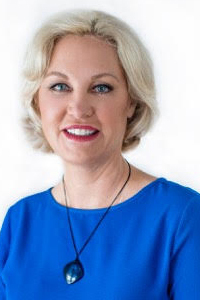 Jill is a national trainer for Bellafill and is proud to hold a Bellafill Bella Diamond status which places our clinic among the top 1% of Bellafill providers in the United States and Canada. She has an eye for beauty and can sculpt the face to give the right balance without looking as if “work” had been done. She has personal experience with the power of bio-identical hormone replacement (BHRT) as a life-enhancing medical treatment for mid-life and beyond. Her special interests in healthy living, Bioidentical Hormone Therapy and longevity medicine are what brought Jill to seek her role with Innovative Directions in Health. She is continually updating her own regimen to keep up with new research and is excited to share her knowledge and cosmetic expertise with our patients. Jill offers complimentary consultations for all of our cosmetic services and is available for telephone or email follow-up and discussion.